What will you decide to cook today? May I suggest you one of amazing Vietnamese Salad Recipes? 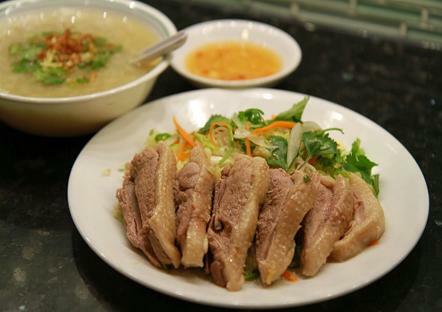 It is Duck Porridge and Salad (Cháo Gỏi Vịt). In winter days, this dish can help you feel warmer inside. It is such a good choice for your family meals. Moreover, this is the best combination between duck porridge and salad. With one ingredient, you can create 2 main meals for your family. Do you love it? 2 cups sticky rice, cleaned and soaked into cold water about 1 – 2 hours. Chopstick cakes (Quẩy), sliced into medium pieces – Buy at Vietnamese/Chinese Markets. 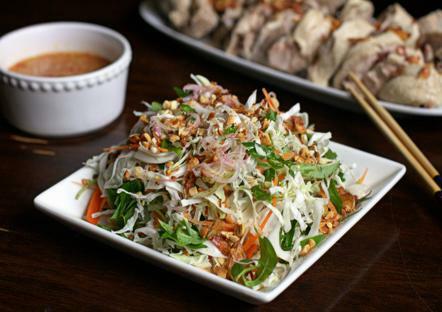 Before making one of amazing Vietnamese Salad Recipes like this dish. I want to tell that you should not neglect when cooking if you want to create a stunning dish for your beloved family. Step 1: Clean carefully duck with water added a little salt in 2 – 3 times. Step 2: Boil 7 liters water, next add duck + ginger + grilled onion into pot. Cook with medium heat in 15 – 20 minutes. Step 3: When waiting duck is boiled, use another pan, add oil and wait to hot, add minced garlic and fry until it is fragrant. Then, pour sticky rice to roast about 10 – 15 minutes. Step 4: Making Duck Porridge: When duck is boiled, take it out, wait to cold. Take ginger and grilled onion out as well. Then, pour sticky rice into pot + 2 cans chicken broth and cook until sticky rice is soft. Season the suit your flavour. Next, fry sliced purple onion + 2 tablespoons until it turns colour and pour into pot. Sprinkle a little pepper to increase its flavour. Step 5: Making Duck Salad: When boiled duck gets cold, tear small, do not use skin and bone. Mix duck meat + sliced cabbage + sliced Vietnamese Mint + sliced onion + coriander together. Step 6: Making dipping sauce: Mix 2 tablespoons fish sauce + 1 teaspoon pepper + 3 teaspoons sugar + 3 teaspoons lemon juice + minced chilli and garlic together. Next, you season to suit your flavour. 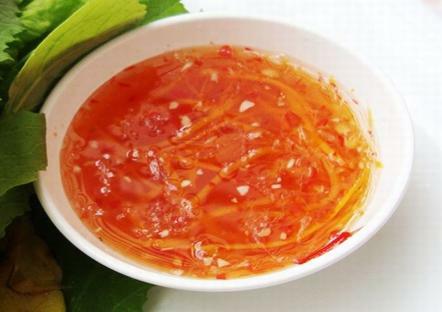 It is required a little sweet and sour to create a stunning salad. Mix 2/3 this dipping sauce with mixture in step 5. Finally, you can serve this dish for your beloved family. 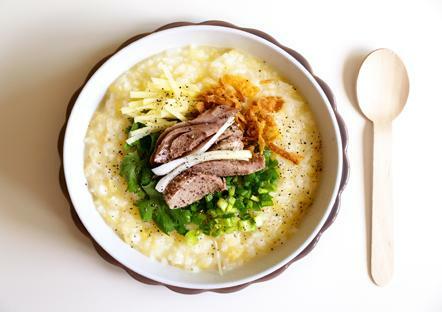 When using, scoop porridge on bowl, add duck salad + chopstick cake and sprinkle a little pepper + sliced scallion on face. If you want it more delicious, you can add a little dipping sauce in step 6. Good Luck for your Cooking.